Zeitgeist is a service which logs the users’s activities and events, anywhere from files opened to websites visited and conversations. It makes this information readily available for other applications to use. It is able to establish relationships between items based on similarity and usage patterns. 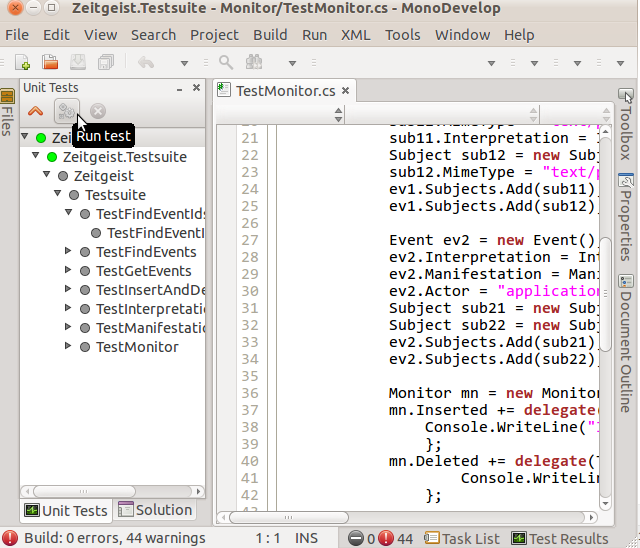 Zeitgeist sits as a daemon and activates a Session bus (DBus) over which applications can send their events. 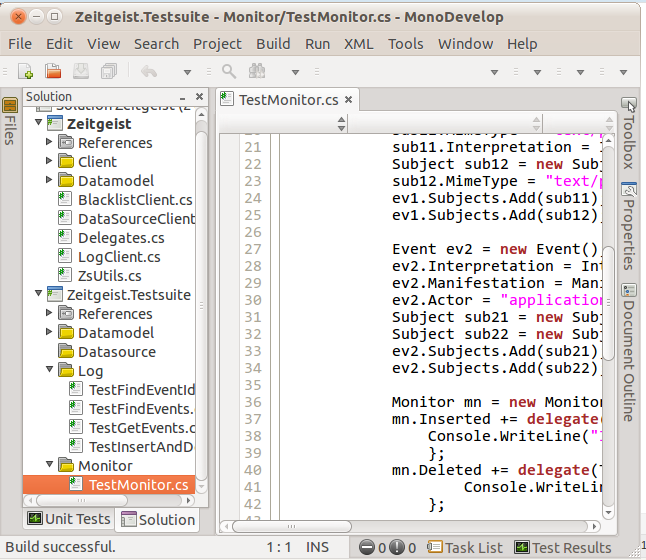 Using a great DBus API, events can be logged, retrieved and also monitored asynchronously. If you want you can also write extensions for the daemon(like full-text-search and blacklist). It is developed using python and uses nepomuk ontologies to establish relations between various events. The daemon is useless if the apps dont push data into it. So, some of the developers of zeitgeist engine have a python client binding which wraps the bus and gives a higher level view of the API. Authors of Python wrapper are Seif Lotfy, Markus Korn, Siegfried Gevatter and Mikkel Kamstrup Erlandsen. Are all apps written in python? Is Banshee/Tomboy/F-spot written in python? One great aspect of FOSS is that all the developers are free to choose the language and technology of their choice. Banshee/Tomboy/F-spot devs chose their technologies. The technology chosen is just a part of the reason an application can be great. The real work is in actually making a great application in which Banshee/Tomboy and F-spot devs have succeeded. 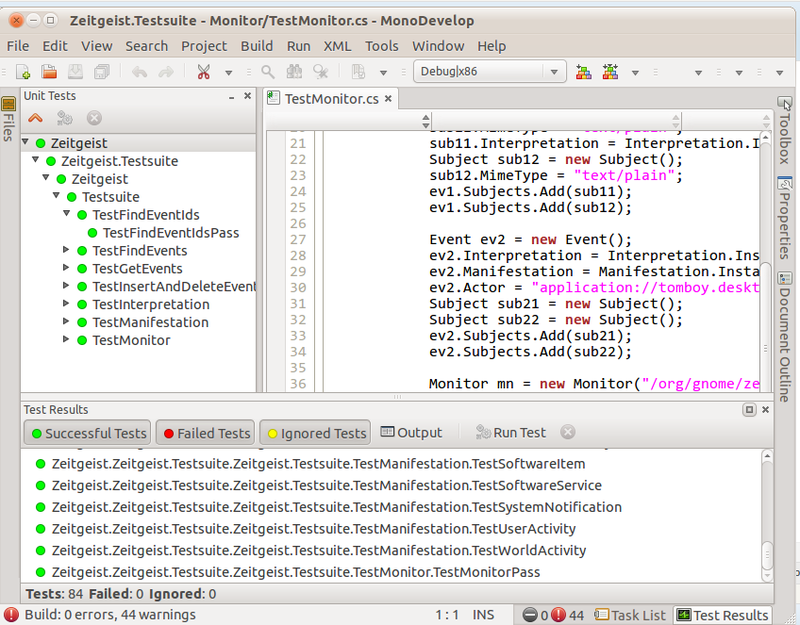 One fine day, Seif pinged me and asked if I can write a mono wrapper over the API since the daemon team is too busy. 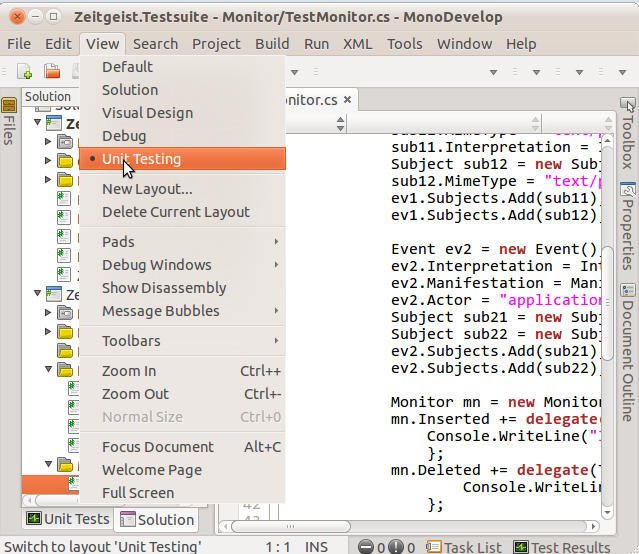 I created most of the wrapper functionality with constant support from Seif. I was later joined by Mirco Bauer(meebey) who is on Debian CLI Team. He did the QA and writing the build scripts. Later I wrote the unit tests. Goto the folder, double click on the Zeitgeist.sln file. All the tests should pass, so that we can be confident of the first release. If a test fails, please right click on the failure message, click Copy and file a bug. Please check whether the bug has already been filed. Please note that this is not a release. License: The code is released under MIT/X11 License. Hoping on getting a lot of community love. As the same time, there’s often a hypocrisy in these communities. When a change is suggested, half the developers shout “show me the code”; when the code is written another half complain about the style or how it’s the wrong way to do it; and when the code is released independently because an upstream merge is just too difficult, yet another half complain about the project being forked. However, the fork allows the code to prove itself in the real world and not simply in theoreticals, and what more proof is needed?